Jesus has already said that the hour had come for Him to be glorified. John 17:1 It is well known that the closer Jesus got to the cross the more He spoke of glory. There seemed to be a very close connection in His mind between being glorified and being crucified. In John 21:18 Jesus spoke to Peter about how when Peter was an old man he would die a martyr and this would be the way Peter would glorify God. In other words Jesus was indicating to Peter that the way to glory was by walking the road of suffering. Jesus was not asking Peter to do anything He had not done before him. Good Friday came to Jesus before His Easter morning and for His followers they too had to have their own Good Friday before their Easter. There is no Easter without a Good Friday. However, this is a hard lesson for us to learn and the tuition fees are very high. If you truly desire to honour God and be a useful Christian you need to go the way of the cross. If you are not prepared to suffer, you will inevitably slip into the background of mediocrity. In other words Jesus invited Peter to come to Him and die to himself. What is more to the point, Jesus commanded Peter to come and die. It was not really an invitation as much as a word of command. The wonderful thing about Peter’s relationship to Jesus was that Peter had come to recognize that obedience to Jesus, though very costly, was the only way to go. Peter, not knowing when the axe would fall and he would die for Jesus was still most willing to follow Jesus to the death. A few days earlier Peter had brashly vowed that he would follow Jesus to the death but at that time he did not know what he was talking about. He had more to learn about Jesus before he would be enabled to live up to that promise. 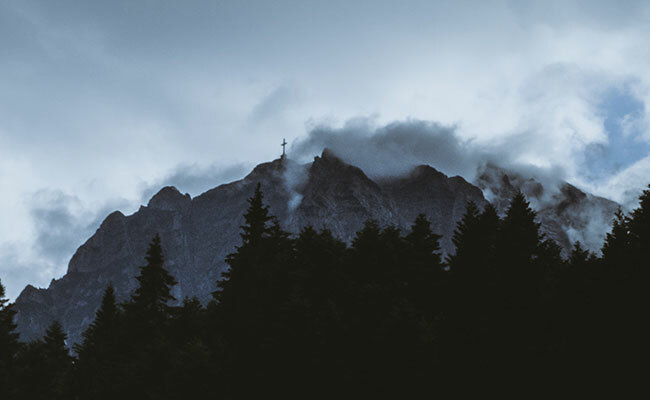 There was irony in Peter’s statement to Jesus the night of the betrayal. Peter promised to follow Jesus to the death. Indeed that was exactly what Peter would do but he had much to learn before he would be prepared to do that which he promised so readily. Possibly you are in trouble and wonder if it is worth following Jesus if you are going to have so many issues to face in life. You may be asking yourself if you have made a mistake in trusting in Jesus and committing yourself into His care if this is how He looks after you. You may have thought that Jesus would fix up all your problems and you would have a smooth ride to glory. Now you are hurting and the way is dark. You cannot see what is in your future but you have an idea it is not what you signed up for. There is glory, there is an Easter, for all who do follow Jesus and commit their way to Him. But do not forget the order of the liturgical calendar, Good Friday always comes before Easter. If you are going to follow Jesus be prepared for your time of suffering and bear it well. For your Easter shall dawn, and you shall say it was worth it all. 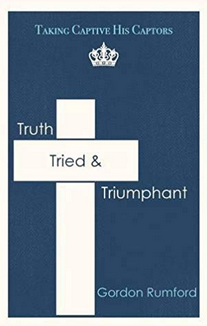 Gordon’s book Truth Tried and Triumphant is available in Kindle format or paperback. Gordon Rumford on A Way Out? Delphine Brunet on A Way Out? Randy Urquhart on Revenge or Forgiveness? Larry Farr on Why Pray When You Can Worry?